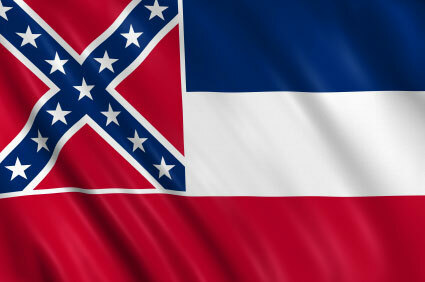 This is the land of catfish, fried green tomatoes, and Mississippi Delta Blues music. Southern hospitality dominates the food scene within the state, but select culinary education programs look beyond cornbread and greens to provide comprehensive training for chefs-to-be. Jackson, Gulfport and Hattiesburg are the urban outposts that yield the most advanced culinary presence, but not all educational opportunities for chefs are in the state’s main cities. Look to Community and Technical Colleges for pure kitchen schooling, but advanced studies in nutrition and dietetics are best obtained in four-year universities. 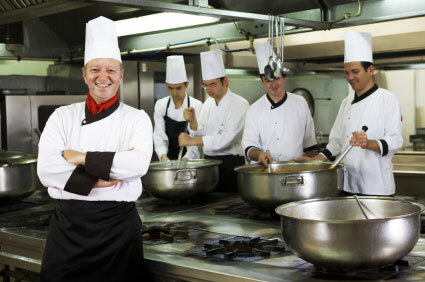 Narrow your search for culinary arts, pastry arts or restaurant management education by refining your chef’s dream. Are you a management-minded pro who wants to run the show? Or would you rather focus on creating your own hands-on kitchen niche? Answer these and other questions to place yourself on the best path forward – for you. Remember, your culinary education ultimately serves your job search, so choose a school that has these tools in place to move you along on your chosen career path. Hattiesburg, Biloxi, Jackson, and Gulfport each offer unique culinary niches for students and job seekers. Well-known chef Robert St. John owns critically acclaimed restaurants in Hattiesburg and Meridien. Iron Chef Cat Cora began her culinary career in Jackson, where she was born and raised. Learn from these local heavy-hitters by initiating your own successful Mississippi career launch. Tap all the career resources available to you during, and after school. Memberships in professional organizations like the Hattiesburg or Mississippi Gulf Coast chapters of the American Culinary Federation, or the Southern Foodways Alliance, provide valuable networking and educational opportunities. Spreading the culinary word is the stated mission of industry associations like these, and it’s done through members-only scholarships, seminars and conferences. Access to these events, and the culinary cross-pollination that occurs there, is valuable input for career advancement. Wide exposure to local food culture should also be a requisite part of your Mississippi culinary education. Visit highly reviewed local restaurants with an eye toward local trends and traditions. Dissect talked-about menus for insight into local ingredients – and how chefs are using them. Salaries for chefs working in Mississippi vary based on location, position, experience and type of establishment. You can be sure that a sound chef’s education will increase your salary potential and upward mobility within the kitchen. Supervisory and management training and experience might yield an annual chef’s salary of $50,000 in Hattiesburg. L’ecole Culinaire – Memphis, TN – This stand alone culinary school is not in Mississippi, but it provides world-class culinary learning in a neighboring state, so is worth inclusion here. Associate’s in Occupational Studies –Culinary Arts, and Diploma of Culinary Essentials programs prepare southern students for employment as cooks and chefs. Alcorn State University - Alcorn State – Nutrition and Dietetics studies can be completed at Alcorn. In-depth food education goes beyond culinary technique by focusing on institutional food service and nutritional menu planning. Coahoma Community College – Clarksdale – This college provides crossover training for chefs who want to step from the kitchen into management roles in the hospitality industry. Hotel, restaurant and tourism management program lays the foundation for entry-level management work. Hinds Community College – Raymond and others- Hospitality and Tourism Management department offers technical training that is preparatory for employment in the fast-paced industry. Six campuses cater to hotel and restaurant, travel and tourism, and culinary arts students with one and two-year programs. Mississippi Gulf Coast Community College – Gulfport and others – Classes for cooks are taught at five campuses, with an emphasis that is uniquely slanted toward high volume food service. The Food Production and Management Technology Degree targets those interested in fast food, institutional food service, or catering work. The specialty requires students to master high volume production techniques, but also incorporates management classes into the curriculum. Viking Cooking School – Greenwood – Viking is a manufacturer of high-end stoves and kitchen electrics. They don’t operate a professional cooking school, but they do have a notable series of classes that impart relevant knowledge to advanced amateur chefs. For a taste of culinary school, try some classes here, before you enroll in a career program.